At Baseline Voice, we believe that the most enviable companies in the world are those that consistently deliver an exceptional experience to their customers and employees. Our mission is to find the root causes of what drives success and happiness at companies. 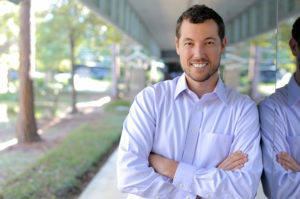 Eric Sheline studied Journalism at the University of Texas at Austin, then moved into the corporate world shortly after graduating. Though he has worked in marketing and technology since then, he never lost the journalistic instinct to dig for the underlying story behind any issue. Eric has worked in marketing for over 10 years in industries from oilfield services to heavy equipment to manufacturing. He has led projects including website launches, intranet transformations, and Voice of Customer initiatives identifying over $200MM in opportunity. During this time, he also studied at Rice University and earned his MBA in 2013. In the last few years, Voice of Customer and Voice of Employee research have pointed toward Experiences – specifically, that consistently delivering a exceptional experience can drive both superior financial results and higher employee retention. Baseline Voice was founded as a platform to partner with others and help them measure and ultimately deliver great Experiences as well.